Mahatma Gandhi; Peace Personified; 2nd October is observed as the International Day of Non-Violence. 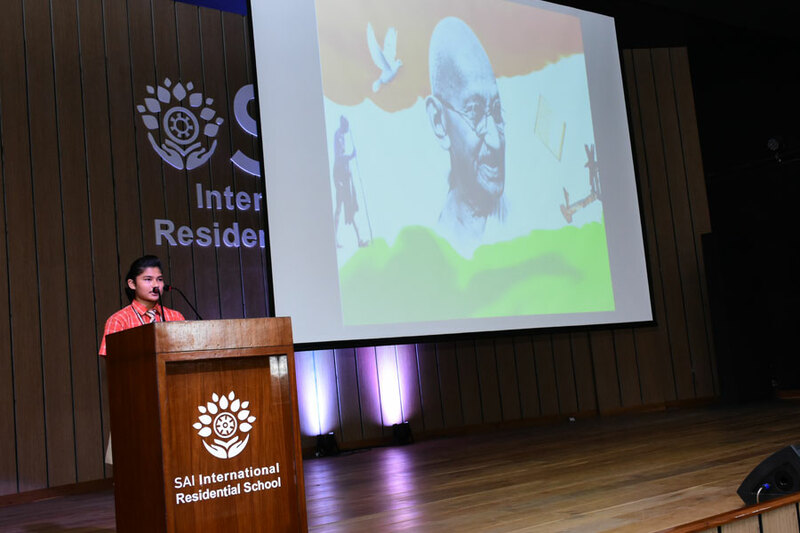 On the occasion of Gandhi Jayanti the Srivatsa house of SAI International Residential School conducted a special celebration to commemorate two towering personalities: Mahatma Gandhi and Shri Lal Bahadur Shastri on their birth anniversaries. 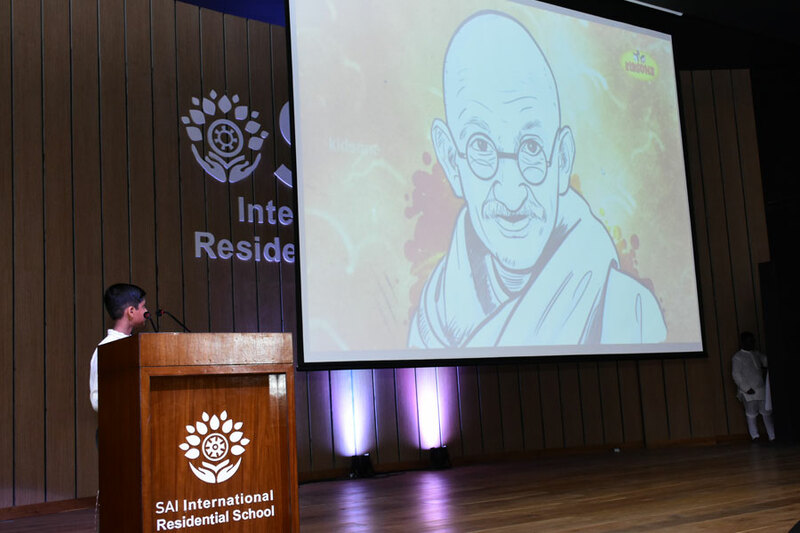 To mark the auspicious day they prepared a special session on patriotism and remembered the pre-independence freedom struggle and Mahatma Gandhi’s contribution by his non-violent methods. 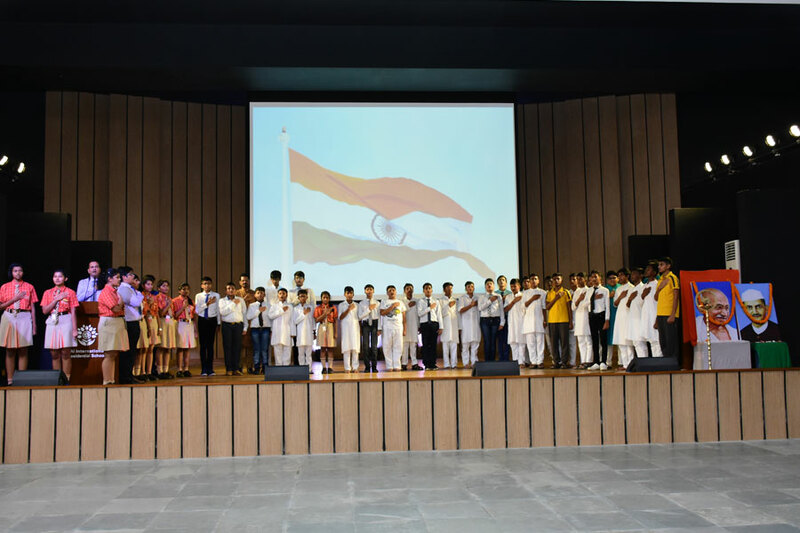 The students staged a stupendous play and showcased the struggle for independence led by Mahatma Gandhi. They also gave an informative speech on the contribution in nation building of Shri Lal Bahadur Shastri, Bharat Ratna and the second Prime Minister of India. October 2, was declared as the International Day of Non-violence in the year 2007 by the United Nations Organisation (UNO). The Swachh Bharat Abhiyan, Panchayat Raj, Cottage Industry, Women Literacy and many such initiatives were all an initiation of Mahatma Gandhi in the lieu of nation building.